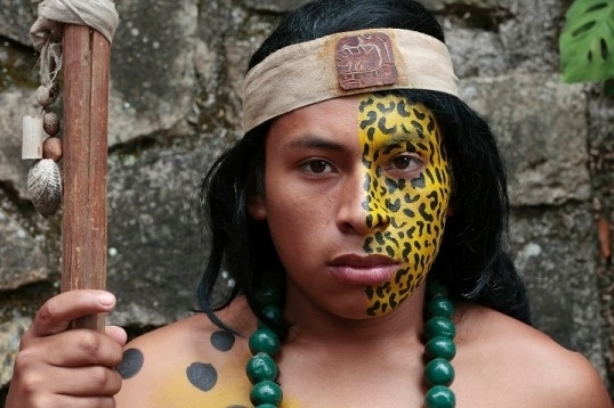 My family are the descendants of a shaman who could transform himself into a jaguar–the jaguar fights until death to defend his living space–that is why the Sarayaku people consider themselves children of the jaguar. In addition to their successful legal battle, the community has employed many other savvy strategies to maintain the integrity of their ancestral territory. The documentary demonstrates all of this artfully, alongside key aspects of Kichwa culture. The documentary follows the lives of the inhabitants of Sarayaku in the southern Amazonic region of Ecuador and their fight against multinationals seeking to exploit oil reserves beneath the Amazon forest floor. Responses to "Children of the Jaguar: National Geographic's award for best documentary"